Individuals, groups, and states all face a variety of crises that require a set of values and morals when dealing with them. These morals contribute to the effective management of such crises and assist in overcoming both them and their negative ramifications. Many of those who are involved in solving crises ignore these ethical standards, which only prolongs the crisis and renders their solutions less effective and comprehensive. 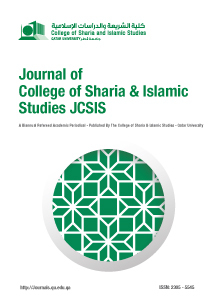 In this research, I followed both analytical descriptive methodology and deductive methodology to outline the Islamic perspective on how these crises should be handled. This was done after analysing religious texts and scholarly statements and by citing various crises and examining the manner in which they were dealt with using a moral system. This research concluded by specifying certain ethics and methodologies for dealing with crises and advising for the further study of a number of subjects and the establishment of training courses in order to create awareness for such ethics at individual, family, communal and state level. •	Abd Al-Wahhab, Abu Sulayman Abdullah bin Muhammad, Jawab Ahl Al-Sunnah Al-Nabwiyyah Fi Naqdi Kalam Al-Shia wa Al-Zaydiyyah, (in Arabic), (Riyadh: Dar Al-Asimah, 1349 A.H), 1st ed..
•	Abu Qahf, Adnan, Al-Idara Al-Istratijiyyah wa Idarat Al-Azamat, (in Arabic), (Cairo: Dar Al-Jamiah Al-Jadida, 2006). •	Abu Yusuf, Yaqub ibn Ibrahim Al-Ansari, Al-Kharaj, (in Arabic), ed. Taha Abdul-Rauf, (Egypt: Al- Maktabah Al-Azhariyyah). •	AL-Adid Samuri,M. (2012) Protection of children during Wartime under Islamic Law and international Law Perspective. 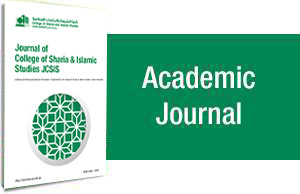 Social Sciences (Pakistan),7(3), 383-390 doi: 10.3923/sciences. 2012.383.390. •	Al-Albani, Abdul-Rahman Muhammad Nasiruddin, Sahih Al-Jami Al-Saghir wa Ziyadatuhu, (in Arabic), (Al-Maktab Al-Islami). •	Al-Askari, Abu Hilal Al-Hasan bin Abduallah, Mujam Al-Furuq Al-Lughawiyyah, (in Arabic), (Qum: Muassasat Al-Nashr Al-Islami, 1412 A.H.), 1st ed..
•	Al-Bayhaqi, Abu Bakr, Shuab Al-Iman, (in Arabic), (Bombay: Maktabat Al-Rushd, 2003). •	Al-Bukhari, Sahih Al-Bukhari, (in Arabic), (Dar Tawaq Al-Najah, 1422 A.H.), 1st ed..
•	Al-Ghazali, Muhammad bin Muhammad, Ihya Ulum al-Din, (in Arabic), (Beirut: Dar Al-Marifah). •	Al-Khudayri, Ali Muhsin, Idarat Al-Azamat Manhaj Iqtsadi Idari Li Hal Al-Azmat ala Al-Mustawa Al-Iqtisad Al-Qawmi wa Al-Wihda Al-Iqtisadiyyah, (in Arabic), (Cairo: Maktabat Madbuli, 1993). •	Al-Kilani, Abdullah Ibrahim, Idarat Al-Azmah Muqarabat Al-Turath Wa Al-Akhar, (in Arabic), (Qatar: Kitab Al-Ummah no. 131, Maktab Al-Dirasat - Wizarat Al-Awqaf bi Qatar, 1430 A.H.). •	Al-Maraghi, Ahmad bin Mustafa, Tafsir Al-Maraghi, (in Arabic), (Cairo: Al-Babi Al-Halabi, 1946), 1st ed..
•	Al-Minawi, Abdul-Rauf, Fayd Al-Qadir, (in Arabic), (Egypt: Al-Maktabah Al-Tijariyyah Al-Kubra, 1959). •	Al-Qurashi, Abu Al-Fida Ismail bin Umayr bin Kathir, Tafsir Al-Quran Al-Azim, (in Arabic), (Egypt: Dar Taybah li Al-Nashr wa Al-Tawzi, 1999). •	Al-Qurtubi, Abu Abdillah Muhammad bin Ahmad bin Abi Bakr Al-Ansari, Al-Jami Li Ahkam Al- Quran, (in Arabic), (Cairo: Dar Al-Kutub Al-Misriyyah, 1964), 2nd ed..
•	Al-Qushayri, Abdul-Karim bin Hawazan bin Abdul-Malik, Lataif Al-Isharat, (in Arabic), (Egypt: Al- Hayah Al-Misriyyah Al-Amah li Al-Kitab). •	Al-Ramahurmuzi, Abu Al-Hasan bin Abdul-Rahman, Amthal Al-Hadith Al-Marwiyyah an Al-Nabi, (in Arabic), (Beirut: Muassasat Al-Kutub Al-Thaqafiyyah, 1988), 1st ed..
•	Al-Razi, Abu Abdillah Muhammad bin Umar bin Al-Hasan bin Al-Husayn Al-Tamimi, Mafatih Al- Ghayb (Al-Tafsir Al-Kabir), (in Arabic), (Beirut: Dar Ihya Al-Turath Al-Arabi ,1420 A.H.), 3rd ed..
•	Al-Shybani, Abu Abdillah Ahmad bin Muhammad bin Hanbal, Musnad Al-Imam Ahmad bin Hanbal, ed. Shuayb Al-Arnaut, (in Arabic), (Muassasat Al-Risalah, 2001), 1st ed..
•	Al-Thahabi, Shams Al-Din Abu Abdillah Muhammad bin Ahmad bin Uthman, Tarikh Al-Islam wa Wafiyat Al-Mashahir wa Al-Alam, (in Arabic), (Beirut: Dar Al-Kitab Al-Arabi, 1993).